This was actually the second time I'd been to Kennedy Space Center (KSC). The first time was in 2001. I was coming down the East coast of the US, and went to KSC instead of going straight to Orlando. Click on the map for a larger view... Map ©Delaware North Parks Services of Spaceport, Inc. 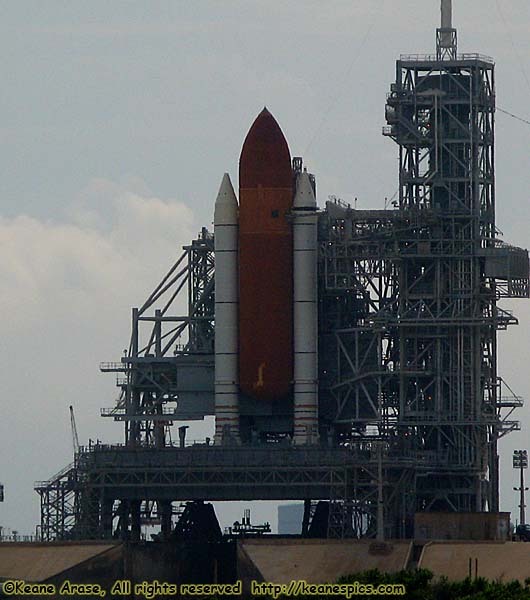 In December 2006, PiC and I drove down to KSC to see a shuttle lift off. We were at mile marker 52 on Route 528, which looked to be a great place to watch the night launch from. At T minus 5:00, the very last moment a shuttle launch could be scratched, the launch was scratched. Bummer. I saw the shuttle lift off the next evening from Universal Orlando... Bummer, again.